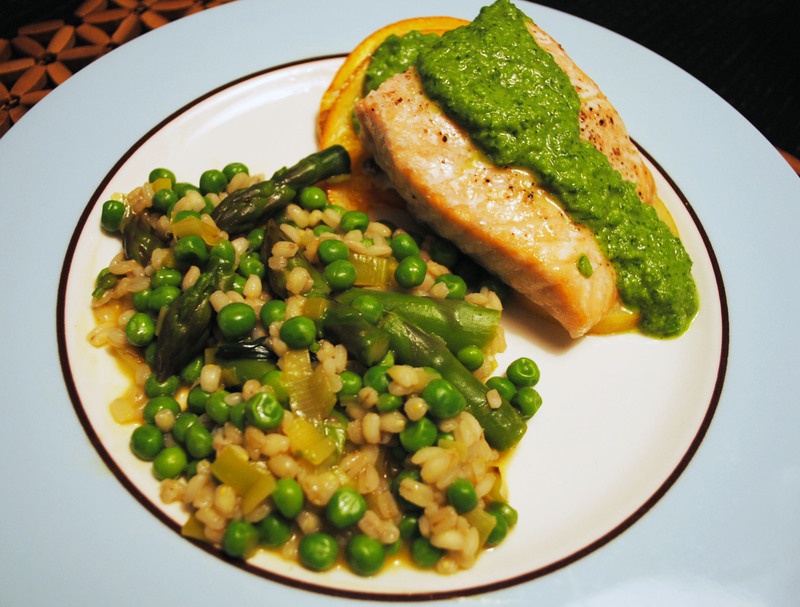 Citrus Roasted Salmon & Barley Risotto | invincible inc. This entry was posted in Cooking, Dinners, Scranton and tagged asparagus, cook books, dinner, food, peas, recipes, salmon by Ginny. Bookmark the permalink.